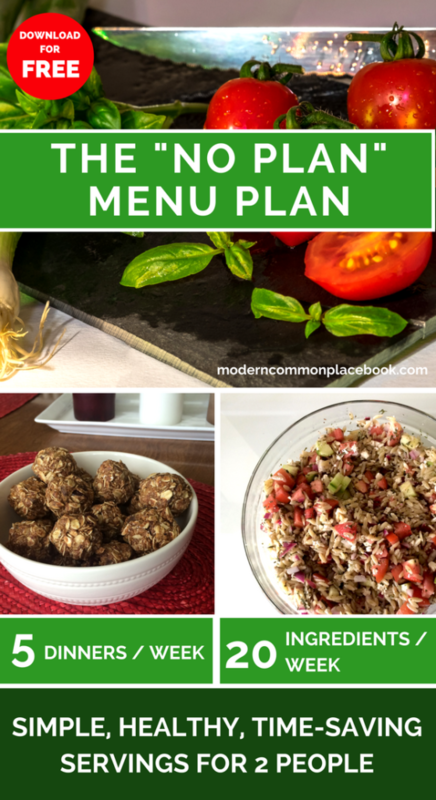 This week we are taking a “Skip Week” from the “No Plan” Menu Plan. Jess is enjoying Beachbody trip to Vegas (yes, super jealous over here), and we are taking a little break from planning. But, don’t worry! There are fifteen weeks of menu plans for you to cook off of this week. Grab one and enjoy our favorite recipes all over again! Enjoy these menu plans this week – and we will see you next week! Each week will include a maximum of 20 ingredients. That’s right. You will receive a grocery list of no more than 20 ingredients. This provides you with a budget-friendly grocery list, no matter where you shop. Each recipe will be categorized by one of 4 cook times. It will either be a 10 minute recipe, 30 minute recipe, hour recipe, or slow cooker recipe. You choose according to how much time you have. 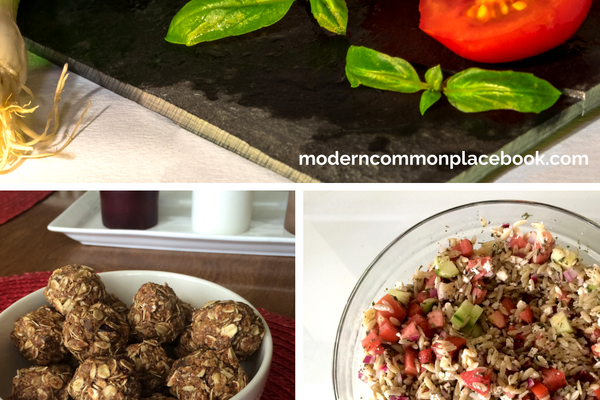 Each recipe will include 3 complete food groups: protein, grain and vegetable. Healthy – without counting calories. Each recipe will be for 2 servings – aimed at young couples who need a fast dinner option. Families can multiply the ingredients. Each week will include multiple time-saving tips – to help you in the long-run. It will be two pages (that can be printed on two sides of one page). The second page has your grocery list, prep day recipes, and food key. It will include one extra “Bonus” recipe a week (either a dessert, snack or lunch item). It will include a “Food Key” that marks the recipes that are Low Carb (LC), Low Calories (CAL), Meatless (V), and Paleo (P).